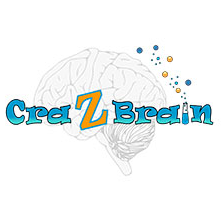 CraZBrain, LLC was founded by Aaron Rothrock to make science fun and exciting for elementary and middle school aged students. Aaron earned his Ph.D. in chemistry at the University of North Carolina at Chapel Hill and taught middle school science at Cary Academy until 2014. His strong science background combined with years of teaching experience has inspired him to form CraZBrain to convert the historically mundane curriculum to one which brings science to life, allowing students to think, design, experiment and desire to repeat. His history of converting kids from saying “I’ve never really liked science” into “Science is my favorite subject” speaks for itself!